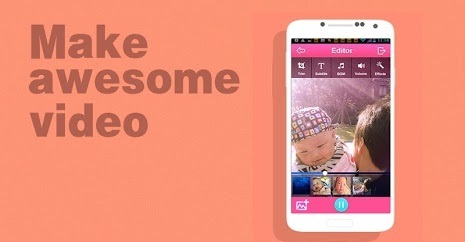 How to change video voice on Smartphone can be done using an app named VideoShow. So, you have to download it first. You can get it on Google Play Store for free. After download that app, it will start installing. After it is installed completely, now you must open it. Just tap on the app and it will start running. After you open the app, go to the video in which you want to change the voice. Then, mark the video on the Select display. The next step is to remove the voice. On the Editor display, tap microphone icon. To remove the voice, change the volume setting becomes 0%. Now, tap recording icon to start recording. Make sure that you do not make any voice. After finished, tap mark icon. You can play the video and it should not have any voice now. Now, it is time to insert the voice such as song or other desired voices. To do this, tap tone icon available. Then, select the voice you want to insert by tapping the + button. After it is inserted completely, tap “Save” icon that is located at the corner above. You are also allowed to choose the video quality you want. That is all how to change video voice on Android phone. It is easy, is not it? Hopefully this is useful for you.